The easiest way to download audio and video from YouTube and other sites. The trial period is 14 days. When the trial ends, you will still be able to use the application, but number of downloads per session will be limited. 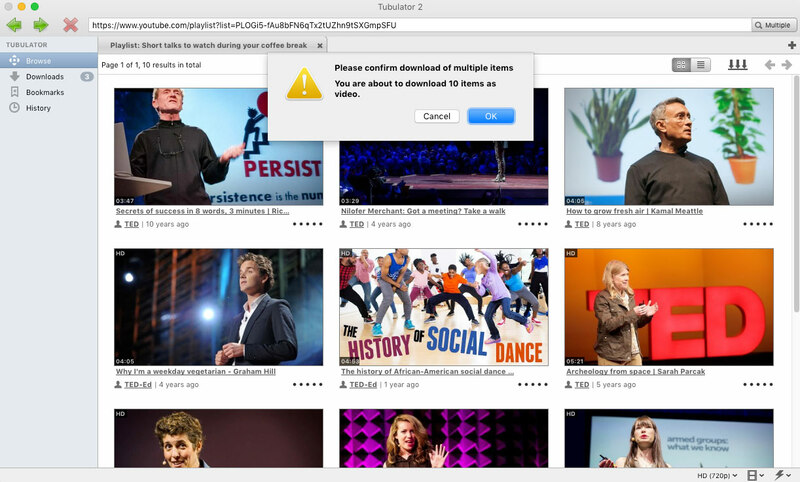 Download videos from YouTube, Vimeo, DailyMotion (much more to come!) to view offline on your computer, tablet, TV or smartphone. Let’s face it: Waiting for a video to load is just plain annoying. 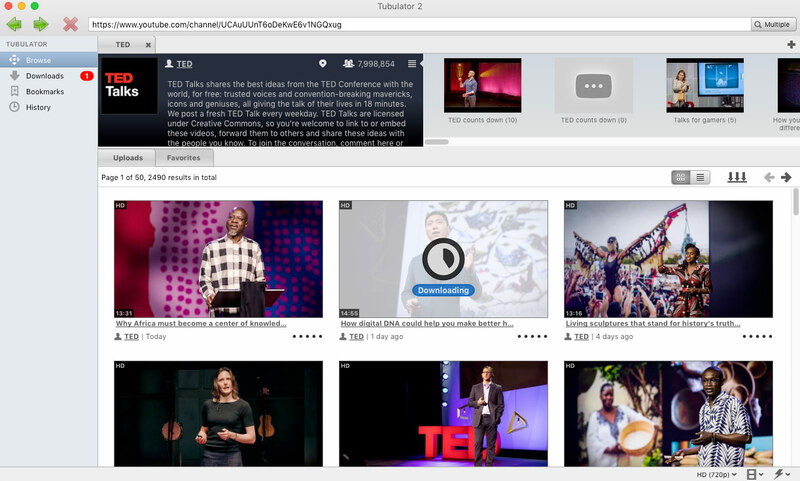 Just click a download button in Tubulator 2, and you have a video (or ten, or twenty, or…) to watch later – when it suits you, where it suits you – without the need for a stable internet connection. HD video supported where available – even 4k resolution (Ultra HD) from YouTube. Download music from YouTube, SoundCloud, and extract audio from other supported video sites. Add your downloads to your media player, MP3 player, phone or tablet. Tubulator automatically adds MP3 tags, and optionally adds downloaded music to an iTunes playlist. Download from YouTube to iTunes with just one click! More players to be supported soon. Download all videos from a YouTube playlist with one click – or all videos in a channel. No matter whether you call it bulk download, batch download or mass download, this is going to save you heaps of time. Converts to convenient formats to play directly on your iPhone, iPad, iPod, Android device or TV. Many mobile device sizes are supported. Tubulator converts to MP4, WMW or AVI / DivX. More formats are on their way. 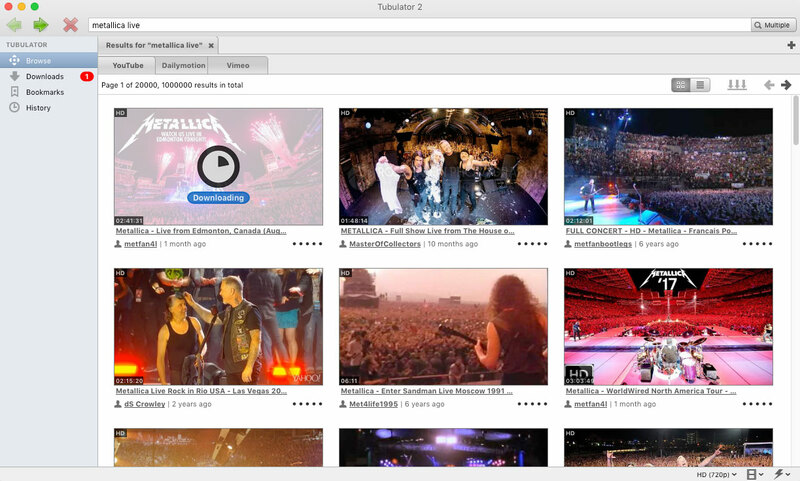 Tubulator 2 is also an online media browser. Search by keywords, browse users and their uploads, playlists and favorites. 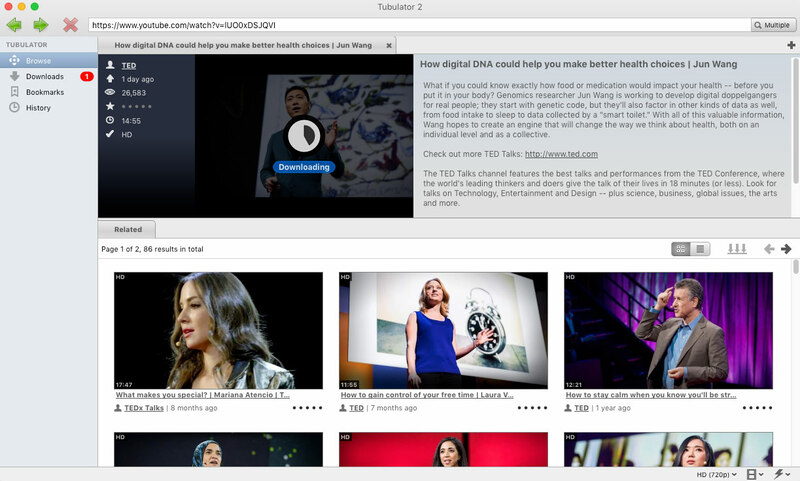 Tubulator 2 has bookmarks, tabs and browsing history. Search multiple services at once. Just hit a download button when you see something you want to keep. Tubulator 2 is plugin based. This means that you don’t need to update the entire application if support for a service is added or changed – just the relevant plugins, which is very, very fast. Many more service plugins are on their way. And it’s all handled completely automatic for you. Tubulator exists in both a Windows version and a Mac version, each running natively. A license key works for both versions. I am dedicated to continue to provide an excellent downloading and browsing experience, as well as continuing having personal contact to Tubulator 2’s users and deliver a quick response in cases where technical support or guidance is needed. There’s a real person here, and I’m always open to feedback and suggestions. Tubulator is translated into Danish, Russian, German, Korean, Italian and French, and automatically uses them if your system language matches. If you want to help with a translation in your own language (or want to help improve existing translations), I’m happy to give you a couple of Tubulator licenses as a thank you. I will also be happy to mention you in the About window in the app. Please send me a message if you’re interested in helping out. I started building the original Tubulator application, because the existing tools out there did not suit my needs. They were either too clumsy, too unstable, too expensive or too limited in their functionality. I have downloaded a LOT of videos and music with the application during the time (instruction videos, documentaries, series, music that I simply can’t find anywhere else etc. ), and I am not finished cramming functionality and convenience into this little beast that I call Tubulator 2. If you like the application, you are encouraged to purchase a license when the 14 day trial period is over. Countless hours has been put into the application, and it is still under heavy development. Purchasing a license will help support further development efforts. However, you are welcome to use the application after the trial period, only with fewer features: YouTube video downloads only, batch downloads disabled and the number of downloads per session will be limited. I love tubulator, and would (and DO), recommend it at every opportunity. 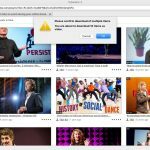 Just want to say, too, that I find Tubulator an excellent program to work with – easy to use, and I like the fact that it pops up suggestions for related videos. It’s a great program and worth every penny I’ve paid. Keep up the good work. Your useful program has been very comfortable for me, especially for downloading a bunch of videos of the same topic. I love your app to download videos for the children in my school and it saves a lot of time downloading those files! Thanks for the great customer service on Christmas Day no less! I love your app.